Following the line of exchanges with various associations and collectives, a dialogue was proposed with the Museu de Pintura de Sant Pol, Amics de les Arts. 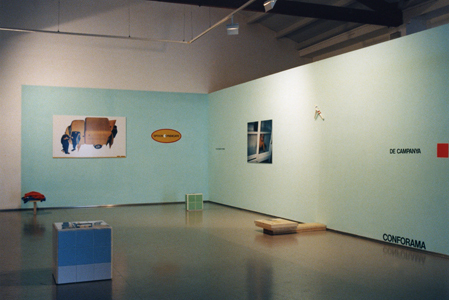 Presentation of a catalogue from the exhibition on 27 January 2001. Carro poètic acció instantània, performance by Manuel Morales.